There's been a lot of talk in the last few years about intellectual property rights, but to most people they're just words. But intellectual property rights are very real, and they don't apply just to software or things computer-related, but to everything someone has dreamed up, be it a book, music, movie or a fashion design. Your intellectual property is something you created, whatever it might be, and intellectual property rights give you the right to control your creation, be it licensing it to someone, selling it, or making it into items yourself. There are, essentially, four types of intellectual property in law. 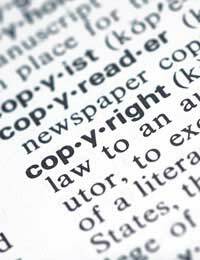 Copyright regulations cover music, such as CDs, films and DVDs, and books and articles. Design covers design and the way something looks. Trade marks cover the specific marks manufacturers and designers use to distinguish their products in the marketplace. Patents apply to more technical products as well as methods of making them. But that's not all - intellectual property can cover a very wide range of things, even down to varieties of plants and performers' rights - think of those bootleg live CDs. In some cases you will need to periodically renew your intellectual property rights or they will expire and you could lose legal control of them, and you'll need to register your intellectual property in order to have control of it - register copyright, for instance, or register your patent. Counterfeits happen in all areas - pirated CDs and DVDs violate copyright, for instance, and patents can be infringed. Often trade marks are violated. This is where the UK Intellectual Property Office comes in. They're a government body that helps protect intellectual property. Generally, they suggest using mediation to resolve any intellectual property dispute, such as Alternative Dispute Resolution. However, such an approach, although it can be legally binding, will only work if both parties agree to mediation. However, in many cases that won't be possible, and you'll have to take legal action against the counterfeits. In that case you'll need a lawyer specialising in intellectual property law, or some branch of it, such as trade marks or patents. The UK IPO can't prosecute, but there are agencies that can help legally enforce your intellectual property rights. Who Can Help Enforce Intellectual Property Rights? There are a number of government agencies that can work to protect intellectual property rights and pursue those who violate them. Both the police and Trading Standards have the legal power to do this, with both fines and jail sentences possible (up to £5,000 and six months in prison for the unauthorised use of a trade mark, for instance, and the same for violating the Trades Descriptions Act. HMRC works with European government bodies to stop items that violate intellectual property rights being imported or exported from the EU, and if you know such is happening with a property you can lodge an application for the counterfeit goods to be detained at an external EU frontier. It could, for example, be a copyright infringement of pirated CDs or DVDs. Note, though, that you'll have to pay HMRC for any costs they incur in the legal protection of your copyright or other intellectual property rights, and also for any storage of the goods involved.